‘Watch RWISA Write’ Month-long-blog. Featured author RON YATES. #RRBC #RRBC_RWISA – Welcome to the World of Suzanne Burke. August is Watch RWISA Write month. We will showcase a different author each day. Today, we celebrate author RON YATES. Firstly let’s learn a little more about RON YATES. My book, The Improbable Journeys of Billy Battles, is the second in the Finding Billy Battles trilogy of novels. In September, 2016, it won 2016 New Apple Summer E-Book Award in the Action/Adventure Category and was one of five finalists in the U.K.’s Diamond Book Awards. In addition to the Finding Billy Battles trilogy, I am the author of The Kikkoman Chronicles: A Global Company with A Japanese Soul, published by McGraw-Hill. Other books include Aboard the Tokyo Express: A Foreign Correspondent’s Journey Through Japan, a collection of columns translated into Japanese, as well as three journalism textbooks: The Journalist’s Handbook, International Reporting and Foreign Correspondents, and Business and Financial Reporting in a Global Economy. During my career as a foreign correspondent I lived and worked in Japan, Southeast Asia and Latin America where I covered several major stories, including the fall of South Vietnam and Cambodia in 1975; the 1989 Tiananmen Square tragedy in Beijing; the war in Afghanistan; and revolutions in Nicaragua, El Salvador an Guatemala. My work as a correspondent was rewarded with several awards, including three Pulitzer nominations; the Inter-American Press Association’s Tom Wallace Award for coverage of Central and South America; the Peter Lisagor Award from the Society of Professional Journalists; and three Edward Scott Beck Awards. I served 3-1/2 years active duty with the U.S. Army Security Agency in Germany, where I worked in communication intelligence (SIGINTEL). I am a proud graduate of the William Allen White School of Journalism at the University of Kansas. stranded in Tokyo during the war, she had taken the job to sustain herself while she was basically a hostage in a hostile environment. was known as the “Voice of WW II” for his narration of Universal Newsreels). It was a twist of irony not lost on those in attendance. 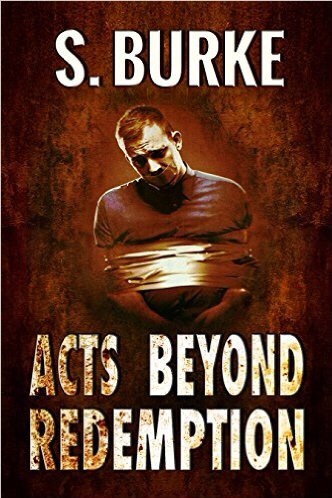 Author Ron Yates is featured on Suzanne Burke’s blog in this post. An interesting account that I had never heard or read before. Thank you, Soooz for hosting. Super story.Ron. Thanks, Soooze for the hosting.